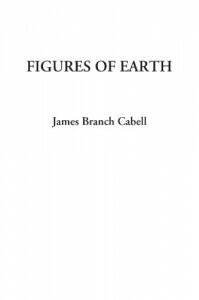 This is the most enjoyable of Cabell's work I've read so far, but I hesitate to recommend him only because he's such an idiosyncratic writer - I've never read anyone quite like Cabell, though I would encourage anyone to try him. Figures of Earth is a good place to start, but Jurgen or The Silver Stallion are also representative and readable examples of his work. And, though they're all linked by theme and many common characters, they're also standalone novels; you can read them in no particular order (Jurgen was my first Cabell novel).